Choose Yer Own fest was one of my favourite #yycarts events ever. A hand-made festival where any event goes. 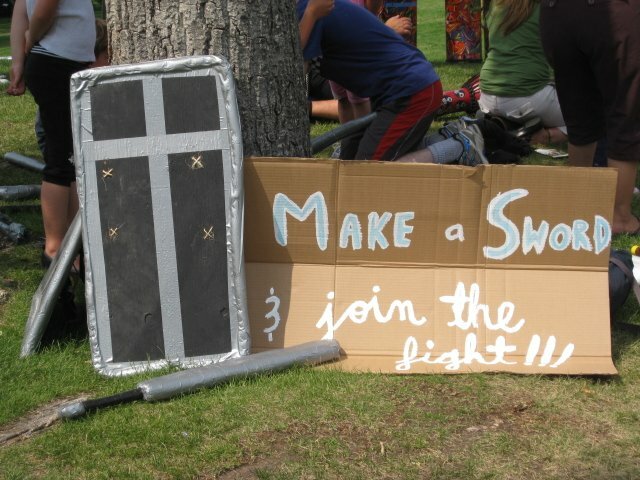 Cardboard robot fight? Breakfast with your grandma? Full re-enactment of the movie Labyrinth? You want it, you make it happen. 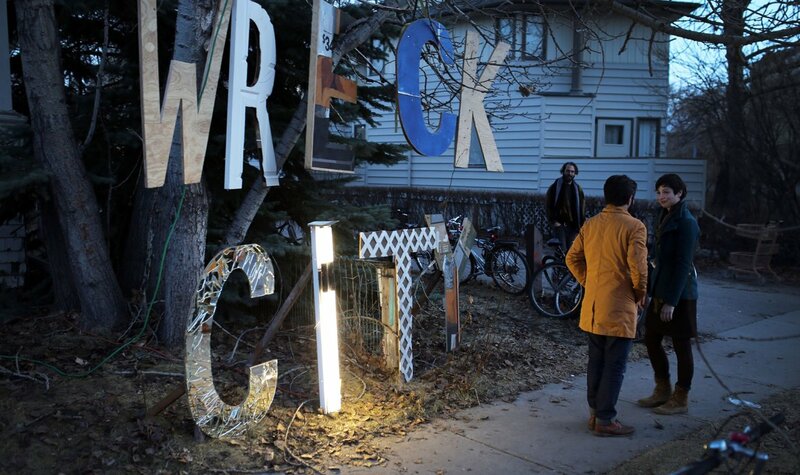 Speaking of magical Calgary events, @wreckcityYYC. The first Wreck City was one of the most amazing #yycarts events I've seen. It was packed with families, folks who I never see at installations, exploring this ode to soon-to-be-gone homes. Gentrification, growth & creativity. My view of this stuff is heavily biased. I work in the arts. I live in a building with multiple governor general's award-winning artists. I am lucky to see a different side of Calgary than most folks. And I'm leaving out a lot of favourites just so this doesn't drag on even more. This week is also TONTO Week at the @nmc_canada, celebrating one of the most amazing instruments ever built. If it was happening in NYC or London and I read about it, I'd be pulling out my hair in frustration that I couldn't be there. Next week is GIRAF, an animation festival on par with any in the world. LA only got a dedicated animation fest... last year? We're going on year 14.